How do I use "General" Custom Tasks in SQL-RD? 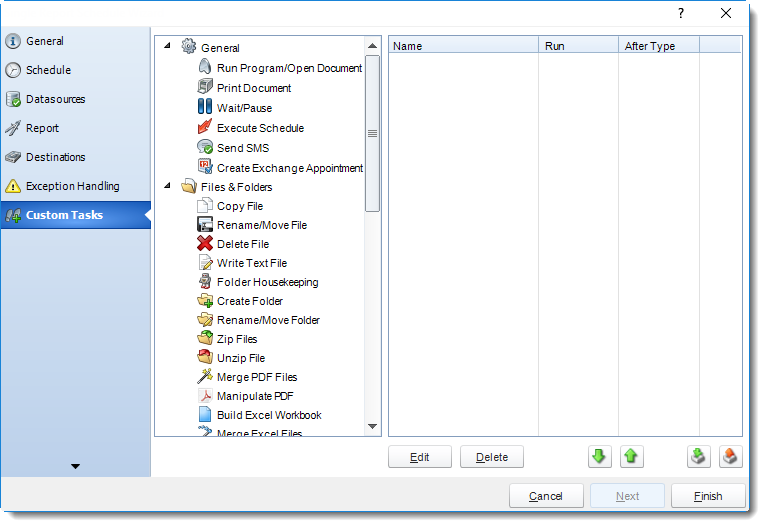 With General Tasks, you can perform basic tasks such as printing documents, waiting, or executing other schedules. 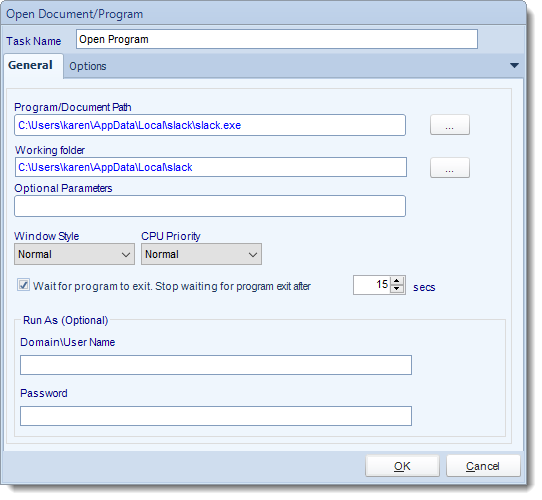 Use this task to open a document or run a program or batch file. Working Folder: Browse to find the path of the working folder. Windows Style: Choose from Normal, Minimized, Maximized or Hidden. You can further instruct SQL-RD to wait for the program to exit or to stop waiting for the program after a specified amount of time. 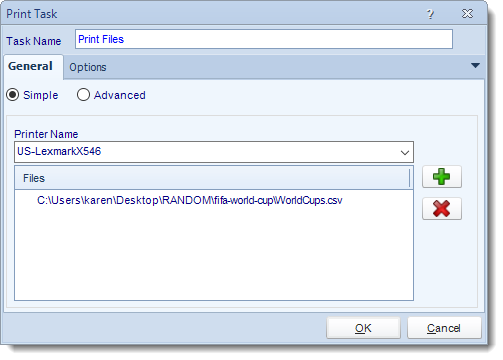 Use this task to print documents to a specified printer. 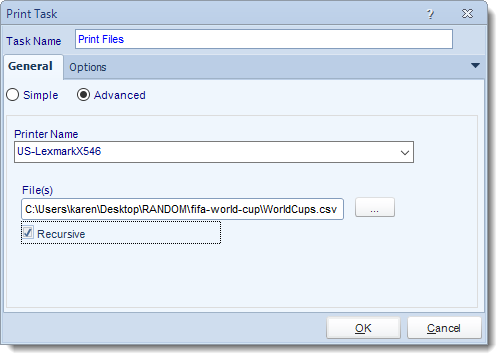 Printer Name: Select a printer or print driver from the list. Click (+) button to browse for files to add to the printing list. Recursive: Print all folder and/or documents in that path. 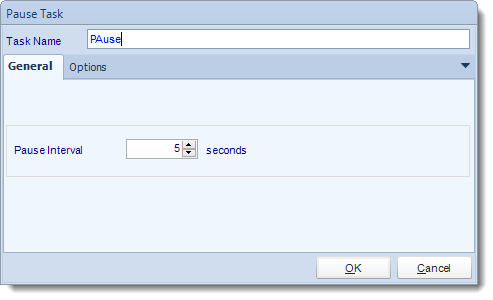 Use this task to create pauses between tasks to ensure that one task is fully complete before the next task in the list is started. Select the pause interval to suit your requirements. This is a useful facility for "chaining" schedules together. 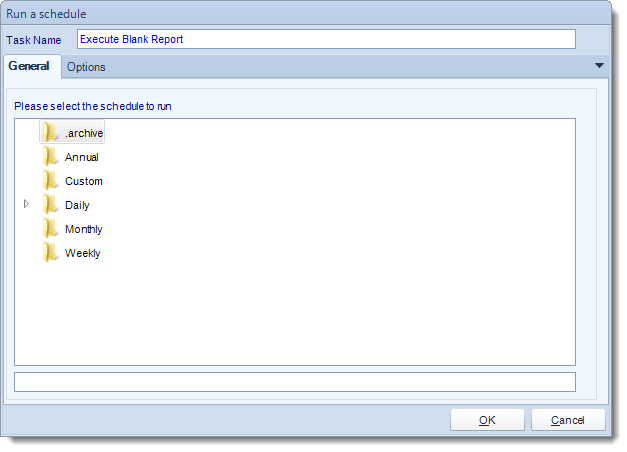 Simply select the schedule you want to run from the list and click OK.
You can send SMS messages using this task. 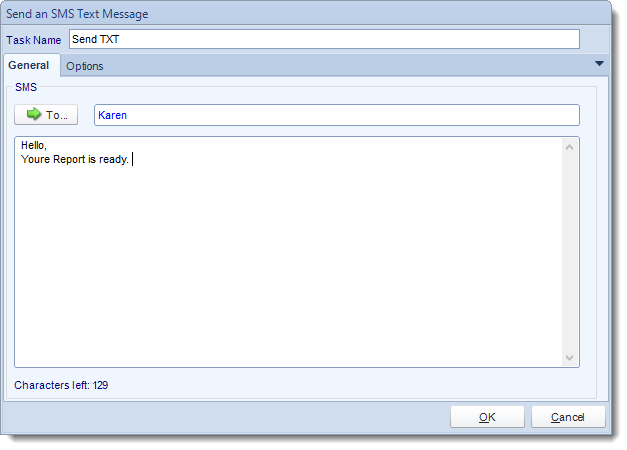 You will need to make sure your SMS messaging configuration in Options is functional. Use this task to send a meeting request to one person or a group of people. Subject: Give the meeting request a title. Location: Where is the meeting going to be. Attendees: Enter the email address of required attendees, use inserts to enter email addresses or click on Attendees to being up different Address book options. Start Time: Start time of the meeting. End Time: End time of the meeting. All Day Event: Check this if the meeting is to last all day. Blank Space: Free type any additional information about the meeting here. 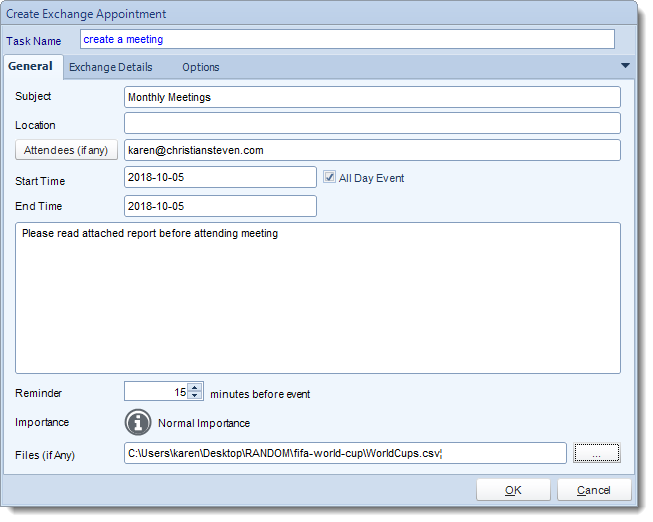 You can use inserts to help compose the meeting request. Reminder: Set a meeting reminder. Importance: set an importance level to the meeting if required. Files: Attach any files required for the meeting here, this may be reports etc. 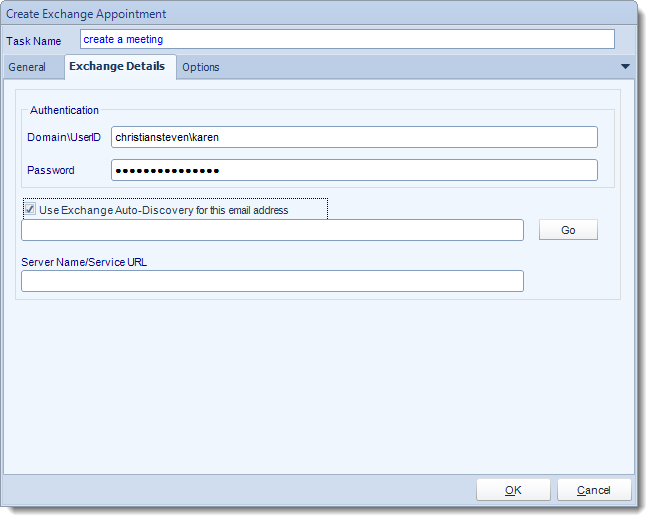 You have the option to use the same email address as the one who is connected to the SQL-RD.